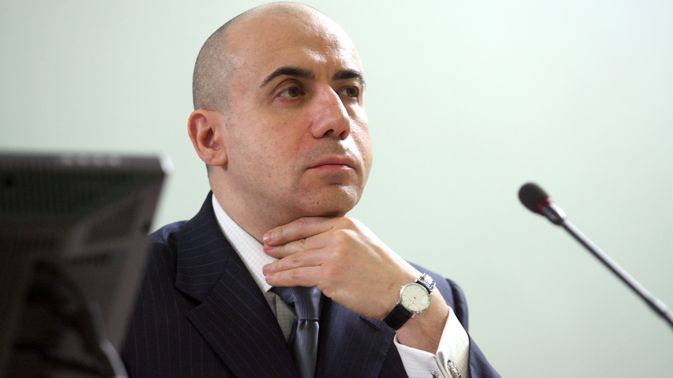 Russian billionaire Yuri Milner, who heads DST Global Investments, has invested $207 million in the India’s largest online taxicab company, Ola, indicating his faith in the vibrancy and prospects for growth in the Indian e-commerce market. Last year Milner, ranked 20th in this year’s Forbes Midas rankings, had invested in India’s largest e-retail company, Flipkart. DST Global Investment Fund, controlled by Russian billionaire Yuri Milner, has led the latest infusion of investments in Ola, India’s largest online service for taxis. According to Business World magazine, ANI Technologies Pvt Ltd, which owns Ola, received $314 million worth of funding in the latest round. In addition to DST Global, other investors include Accel Partners, Tiger Global, and Steadview Capital. The Japanese SoftBank, which invested $210 million in this Ola in October 2014, did not participate in this round. The Financial Times newspaper said investment from DST Global was worth $207 million, from Tiger Global, around $41 million, while the rest was from other investors. Ola managed to raise around $400 million, based on its appraised value of $2.4 billion. In March, Ola bought out its competitor, TaxiForSure, for $200 million, making the acquisition one of the largest in the Indian online commerce segment. Milner, whose personal fortune Forbes magazine estimated at $3.2 billion, sees growth prospects in taxi services and in Indian e-retail start-ups. He already has a personal investment in Ola Cabs, the Times of India said, with an individual investment of around $5 million in the company last September. In mid-2014, DST Global had invested $210 million in India’s largest e-retail company: Flipkart. In December, DST participated in another round of investments, as a result of which Flipkart was valued at $11 billion. Analysts expect the Indian e-commerce market to grow at a phenomenal rate. According to the Morgan Stanley forecasts, the Indian domestic e-commerce market will grow from $3 billion in 2013, to $100 billion in 2020 (by GMV – Gross Merchandise Volume). “India is a very interesting market, which offers the same possibilities as that of China, in terms of advanced development of the online infrastructure,” Milner said in an interview with Reuters last December. Late last year DST Global, along with Temasek and Tencent, participated in a round of investments worth $700 million in the Chinese taxicab application Didi Dache, which recently announced a merger with its rival Kuaidi Dache. The value of the amalgamated company is likely to rise to around $6 billion. This spring, the DST Global Fund headed an investment round worth $86 million in the online boutique, Farfetch, as a result of which the valuation of this British company has reached $1 billion. According to Milner, he decided to invest in Farfetch, because the company has “a strong team, impressive growth, and huge potential,” writes the Financial Times. Earlier, Milner had invested in technology companies like Facebook, Airbnb, and Alibaba. In late March, Forbes magazine included Milner in the top 20 of its Midas List – a rating of the 100 most successful venture investors in the world. According to Forbes, the move, from 35th to 20th place in the Midas ranking was made possible because of Milner’s timely shift from American social networks to prospective Asian e-commerce ventures and start-ups.